A new, low-cost wound dressing developed by University of Wisconsin-Madison engineers could dramatically speed up healing in a surprising way. The method leverages energy generated from a patient's own body motions to apply gentle electrical pulses at the site of an injury. In rodent tests, the dressings reduced healing times to a mere three days compared to nearly two weeks for the normal healing process. 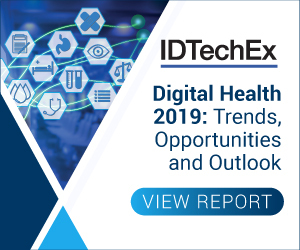 For more information see the IDTechEx reports on Bioelectronic Medicine 2019-2029 and Electronic Skin Patches 2018-2028. And, those low-power pulses won't harm healthy tissue like traditional, high-power electrotherapy devices might. In fact, the researchers showed that exposing cells to high-energy electrical pulses caused them to produce almost five times more reactive oxygen species — major risk factors for cancer and cellular aging — than did cells that were exposed to the nanogenerators. If the team is successful, the devices could help solve a major challenge for modern medicine. "We think our nanogenerator could be the most effective electrical stimulation approach for many therapeutic purposes," says Wang. And because the nanogenerators consist of relatively common materials, price won't be an issue. "I don't think the cost will be much more than a regular bandage," says Wang. "The device in itself is very simple and convenient to fabricate."